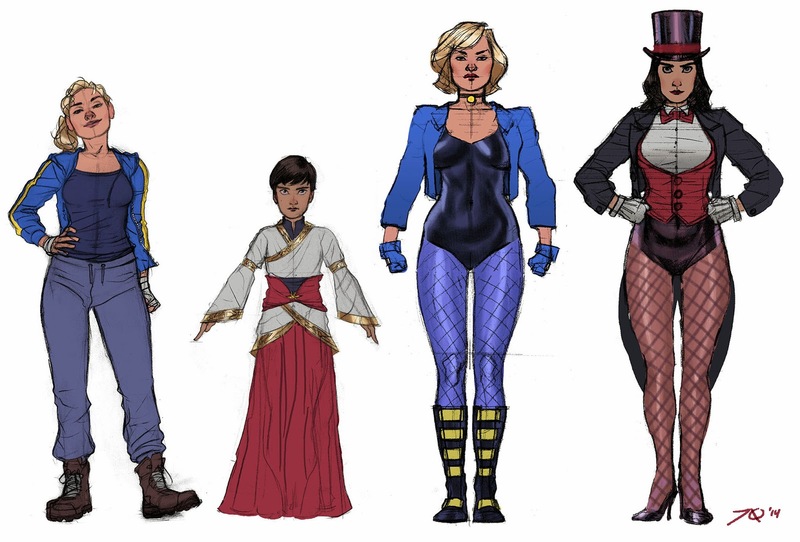 Joe Quinones' interweb-log: Canary & Zatanna Sneek Skeep, part 9! Canary & Zatanna Sneek Skeep, part 9! The Bloodspell countdown continues.... Just two weeks until it comes out! Above is a look at a lineup of character/color studies I did at the inception of the project as well as another panel tease (Wonder Woman!). Wonder Woman is in it!? Awesome.